Since December 2016, Gildas Hounmanou has been enrolled as a PhD student at the Faculty of Health Sciences, University of Copenhagen. It has given him the opportunity he wanted. “My study stay at University of Copenhagen is the best that could happen to me. It gives me optimal options to exploit my subject matter”, says Gildas Hounmanou. He is researching how cholera bacteria live and spread in aquatic environments in Africa and how the bacteria spread to humans. In addition, he explores how different cholera bacteria are interrelated and how they spread between African countries. 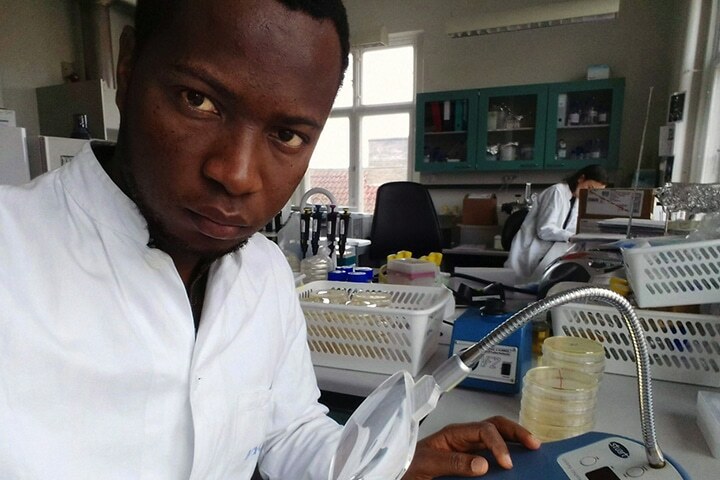 The working title of Gildas Hounmanou’s PhD is Ecology and Phylodynamics of Clinical and Environmental Vibrio Cholerae in Tanzania. It is affiliated to the project: Innovations and Markets for Victoria Fisheries supported by Danida. It is affiliated to the project: Innovations and Markets for Victoria Fisheries supported by Danida. Read University of Copenhagen’s article “From Boernefonden Child in Benin to Bacteria Researcher at Sund”.